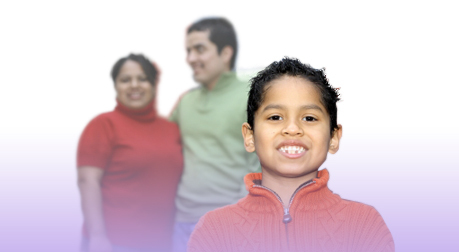 The Community Partnerships for Protecting Children (CPPC) approach starts with the premise that children’s safety depends on strong families, and strong families depend on connections with a broad range of people, organizations, and community institutions. No single factor is responsible for child abuse and neglect, and therefore no one public agency alone can safeguard children. Compared with traditional child welfare systems, CPPC involves many more people and institutional partners in the mission of safeguarding children and strengthening families. CPPC engages community members and agencies to reach out and support families before they face crises; intervene more rapidly, comprehensively, and effectively when abuse and neglect occur; and join in a partnership with the public child welfare agency to improve child protection policy, programs, and practice in ways that more reliably strengthen families and more aggressively safeguard children. CPPC grew out of the Children’s Program at the Edna McConnell Clark Foundation, which had a long history of supporting child welfare reform. In 1995 and 1996, the Foundation’s trustees made planning grants to four sites—Cedar Rapids, IA; Jacksonville, FL; Louisville, KY; and St. Louis, MO. In 1997, the Clark Foundation made a commitment to the implementation of CPPC sites by launching a multi-year process of technical assistance and support as the four partnerships put their plans into action. In 2001, the Clark Foundation continued to support the work through a grant to the Center for the Study of Social Policy to create a new Center for Community Partnerships in Child Welfare in January 2002 with the goal of transforming child welfare systems through the implementation of CPPC. This center oversaw over 50 CPPC sites that started up across the country. A report released in December of 2005 by the Center for the Study of Social Policy entitled "Lessons, Opportunities and Challenges: A Report to the Field" further outlines the history of CPPC as a national initiative and its effectiveness as an approach. Iowa's CPPC approach grew from the initial work in Cedar Rapids in 1996 and today 39 CPPC sites exist in Iowa, which serve all 99 counties in the state. Several new policy and practice changes in Iowa have been promoted, piloted and implemented through CPPC efforts. Family Team Decision Making, Parent Partners and Youth Dream Teams are examples of these efforts. Trainings, professional development opportunities, and train-the-trainer programs have been developed and implemented to support improved practices and ensure quality and consistency across the state. State and regional networking opportunities, workshops and forums create an on-going learning community of stakeholders. • Families are stronger when all members, including caregivers, are safe from abuse. • There is no substitute for strong families to ensure that children and youth grow up to be capable adults. • Families need supportive communities to help them be strong. • Children can best be kept safe when families, friends, residents and organizations work together as partners. • Children should stay with their own families, whenever possible. • Services and supports need to be available earlier, before crises occur and must be closely linked to the communities in which families live. • Government alone, through the child protective services (CPS) agency, cannot keep children safe from abuse and neglect. • Efforts to reduce abuse and neglect must be closely linked to broader community initiatives and priorities. • All families should receive high-quality services, with no disparities among racial, ethnic, religious, or socioeconomic groups. • Each community must shape the strategies and network of services based on its own resources, needs and cultures. Residents of different communities will come up with different ways of putting these principles into actions.